He is a 40 year old single man and a father with 2 beautiful daughters. He’s spent the best part of the last 20 years pondering his naval and working as a dancer, actor, singer and teacher. He is currently homeless and has a keen interest in what makes people tick. He’s also about to perform in My Lovers’ Bones for the Melbourne International Arts Festival. To be one of those admirable people who finish what they started. Exercise more & eat less. Mothers & people who are seriously in to making a difference to others. Bondi Beach – I used to live there. Surf, sun, sand, food & ocean air, its like a little slice of heaven with to many people… I hope heaven is over populated. I hope there is a heaven…? What am you currently reading? The script for My Lovers’ Bones mostly… And Alexis Wrights The Swan Book. What am you currently listening to? Those silly voices in my head. Doing all of the things I have promised myself I would do! Or chocolate, hot baths, cuddles and the smell of puppies. Widely acclaimed for his physical theatre, aerial and dance work, Kirk Page recently appeared in Catapult Festival for the Bathurst Regional Council, Ochres for Bangarra Dance Theatre, which toured Australia and internationally, A Midsummer Night’s Dream for Opera Australia and performed numerous times for Legs on the Wall, in productions including Eora Crossing and Runners Up. In music theatre, Kirk has appeared in Priscilla for Back Row Productions, The Sunshine Club for Sydney Theatre Company, Corrugation Road for Black Swan Theatre Company and most recently, One Night the Moon for Malthouse Theatre. His theatre credits include Silent Disco for Griffin Theatre Company, The Dreamers and Conversations with the Dead for Belvoir, My Girragundji for Bell Shakespeare, A Midsummer Night’s Dream for Sydney Theatre Company, Australia the Show! for Hothouse Theatre and Death in Bowengabbie for Merrigong Theatre Company. On screen, Kirk played the lead in Bloodlines for SBS Films and the Australian Film Commission and also appeared in the film Shadow Play for Porchlight Films. 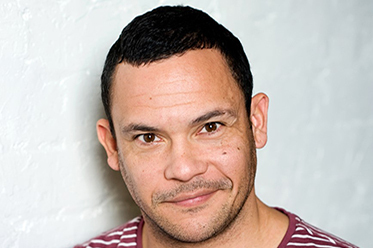 As a movement director Kirk has worked in film, television and theatre. Having worked on the ABC’s My Place and on the feature film Bran Nue Day for Robyn Kershaw Productions, in 2006 he also choreographed the indigenous section of the Melbourne Commonwealth Games My Skin, My Life. Kirk’s most recent engagement was as assistant director for Bloodland (STC) and worked as an outside eye for Posts in the Paddock, My Darling Patricia. 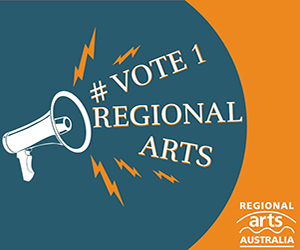 Kirk is about to perform in Brown Cab Productions’ My Lovers’ Bones for the Melbourne Festival at the Footscray Community Arts Centre Performance Space (14 – 18 October). 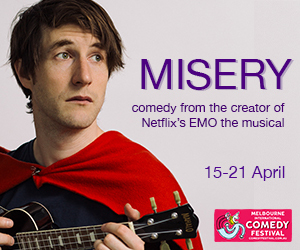 For more information, visit: www.melbournefestival.com.au for details.